Chabad of Saratoga County serves the entire Jewish community regardless of age and affiliation. Our goal is to promote Jewish identity and spread the wellsprings of Torah, specifically through art and music, fulfilling the Lubavitcher's Rebbe's mission and vision to change the world for good, one Mitzvah at a time. 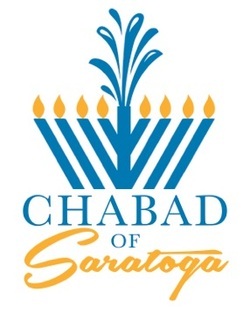 Saratoga Chabad is a branch of Capital Chabad: The Capital Region's Jewish Educational and Communal Outreach Network. Chabad has been serving Saratoga for over 25 years, and a full time Saratoga Chabad center was established in 2001 to serve year-round. Saratoga Chabad provides a welcoming family atmosphere to Jews of all backgrounds and affiliations. Saratoga Chabad is inspired and guided by the vision of Rabbi Menachem Mendel Schneerson. The Lubavitcher Rebbe's reaching out to every Jewish person with Torah and Mitzvos motivates our outreach efforts and projects. Our home at 130 Circular Street, is close to Broadway, only two blocks from Congress Park, in the heart of historic and beautiful Saratoga Springs, New York. Growing up in Albany, NY, Rabbi Abba attended Maimonides Day School, Oholei Torah Educational Institute and Rabbinical College, and was inspired by the Lubavitcher Rebbe to help raise Jewish awareness in small communities. He has visited France, Germany, Russia and Italy. Rabbi Abba resides in Saratoga with his wife Raizel, and with children Moishy, Chaya and Chana Malka. He enjoys hiking with his family, learning Torah with local individuals, and Mitzvah / Jewish holiday visits at people's homes. Growing up in Brooklyn, NY, Raizel attended Beth Rivkah, taught Pre-school for over a decade, has a BA from Excelsior College, and published 4 children’s Yiddish workbooks. Raizel enjoys cooking and baking, embroidery and sewing, and has created an assortment of 60 tablecloths and latch hooks. She enjoys sharing her Jewish traditions with others. 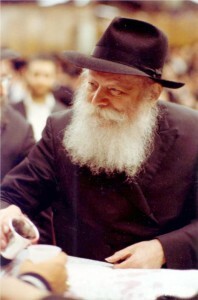 Rabbi Israel Rubin studied at the Rabbinical College of Canada, and was ordained by the United Lubavitch in Brooklyn NY. Spiritual Leader of Cong. Shomray Torah, he has been active in various Capital Region communal and educational Jewish organizations, including the Maimonides Hebrew Day School. 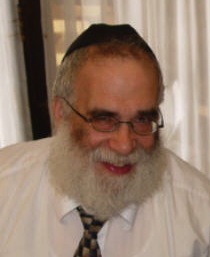 Rabbi Rubin founded the Capital Region Chabad Outreach Centers in 1974, is author of the “Albany Haggadah” and “Blossoms” on Ethics, editor of the “Holiday Guide” and the creative educational “Torah Times” weekly, and is involved with outreach programs at the Shabbos House Rohr Student Center.